The yarn for my Rambling Rows Afghan was originally to be used as a sweater for me. But I just can’t knit sweaters. I either don’t get them started or once I have started, they languish in a tote bag until I frog it. So, I pulled out my yarn and started a lovely Rambling Rows Afghan. I am now probably about half-way done. That sometimes happens. My yarn determines that it will NOT be what I planned, but instead, breaks free to become something else. I suppose it is what artists might call the creative spirit. What about you? Does your yarn sometimes yearn to break free to become something else? 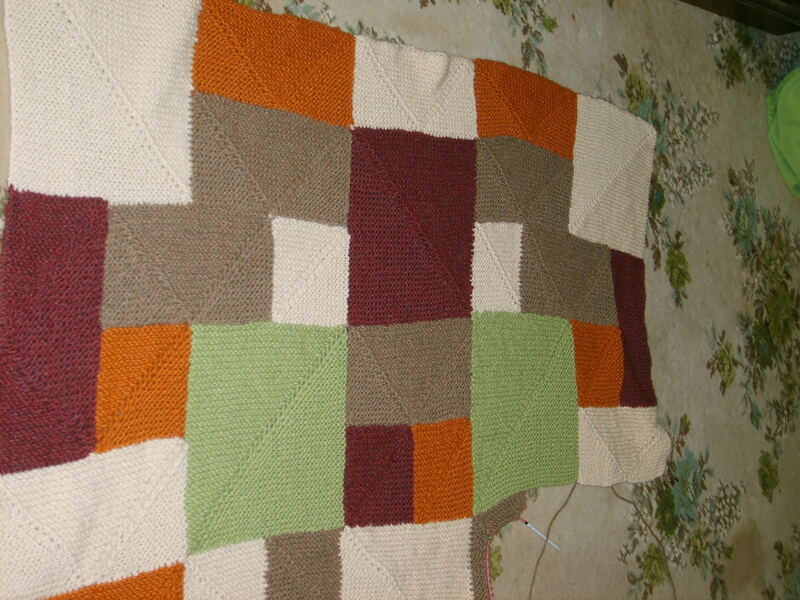 This entry was posted in knitting and tagged afghan, knit, ramblingrows, WIP. Bookmark the permalink.